Who doesn’t want to see angels? Who doesn’t want to be guided by angels? Angels have been described in spiritual texts throughout time as strong energy forces that watch over us and guide us when we need a helping hand. When we think of angels, we may immediately see images of glistening wings, white robes and halos in our minds. Whether you immediately become a skeptic over the mere thought of angels surrounding us, or if you may fully embrace the idea of having a spiritual guardian, you have to admit that there are unexplainable events that do show us that there is a higher form of energy surrounding us. It has been discussed that angels exist on a completely different vibrational frequency than humans. This is why we cannot see them around us, watching over us and helping us when we need it most. Through various experiences, it has been known that angels do show their presence to us, just in a variety of other ways that do not include their own visible form. Do you feel as though you have an angel near you? Have you had unexplainable experiences occur within your life that you believe must be the work of an angel? Here are 5 signs that an angel may be with you and guiding you throughout your life journey. Take a closer look at these 5 common experiences and see if an angel may be watching over you or is nearby. #1: If you see different shades of color and light that have no explanation, you may have an angel nearby. Light that streams through a room or sparks that appear out of nowhere have been connected to angels and angel encounters. Shadows with light streaming through have also been connected to angel sightings and experiences. #2: Have you ever experienced a draft in a place that could not possibly have one? Or have you walked into a cold or hot patch of air in a room when the rest of the establishment is a moderate temperature? 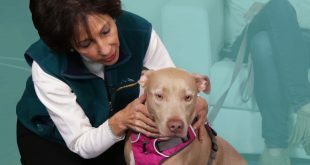 If you suddenly feel a rush of cold or warm air, feel goose bumps for no reason or if the back of your neck feels all tingly, chances are you have an angel surrounding you at that moment. Try not to fill yourself with fear as angels do not wish to harm you in any shape or form. 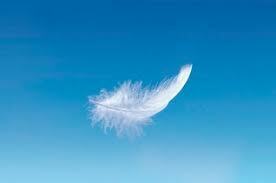 #3: If you have found white feathers recently, you might have an angel walking through life with you. Throughout the past, white feathers have been left by angels as a sign that they would like to communicate with you and that they are around you. Take comfort if you find one nearby or in an odd place. #4: Have you ever felt as though someone has just walked right by you and brushed your shoulder, but there is no one there? 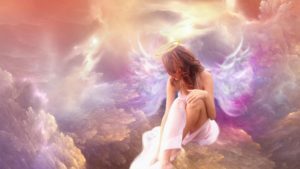 If you have felt as though you are not alone at times in your life and that there is someone or something near to you, this is most likely the energy force of your angel surrounding you. #5: Angels can come to you in your dreams. If you remember a dream where someone unidentified is trying to help you through a difficult time or moment, chances are this is your guardian angel trying to communicate with you. An angel can contact you with ease when you are in the sleep state of consciousness and this will most likely be the first place they initiate contact. It is important to remember that angels are not trying to scare you or lead you in the wrong direction. Angels want you to know you are not alone on your journey and that you do not have to travel through life’s ups and down on your own. They want you to know that you are being watched over and that you can turn to them for support and guidance when needed. Previous Is It High Time To Contact Your Deceased Loved Ones?